If it was not for the crisis the multiannual financial framework 2014-2020 would have been the leading topic. This is the conclusion of Marcin Kwasowski, Deputy Head of Department of Economic Policy at the Ministry of Foreign Affairs of Poland. He said this at the beginning of the conference "EU's Financial Framework 2014-2020: In Times of a Crisis", which took place in Sofia on November 30th, organised by the Polish Embassy in Bulgaria with the support of the European Commission Representation in Sofia and the Centre for Economic Development, a Bulgarian think-tank. euinside was a moderator of the first panel but we will offer in a series of articles and video all the statements and interesting debates. We started with the introductory statements of the host - Leszek Hensel, ambassador of Poland in Sofia and Ms Bisserka Benisheva, Dirctor General of the European Union Depratment at the Ministry of Foreign Affairs of Bulgaria. Next to speak was Mr Kwasowski, who made an overall picture of how Poland, as presidency structured the debate. Adelina Marini: Many thanks to Ms Benisheva, who managed very briefly to present a clear picture about the pace of the discussion up to now. Sticking to your expression about the “moderate optimism” – which really sounds optimistic against the background of the rather ghastly atmosphere of the budgetary discussions because of the debt crisis. We will pass now the floor to Mr Marcin Kwasowski, deputy head of the economic policy unit of the Polish Ministry of Finance. Let me just add beforehand – not only because the Polish Presidency is the host of this conference – but Poland actually succeeded to bring forward this topic with all its future horizons, in spite of the difficult situation in the EU now. Mr Kwasowski, please! Marcin Kwasowski: Thank you very much for the floor. Ladies and gentlemen, I am honoured to be here with you in Bulgaria. This is the first time I visit Sofia and I am quite impressed by the development of the city and of this country. Today I will be speaking about the progress we have achieved during our semester. I am not going to present our national position because, although we have high priorities and high expectations about the outcome of our semester, still this is such a sensitive political topic that we decided to refrain from taking our national positions to this conference, organised by the Polish presidency and a Bulgarian think-tank [Centre for Economic Development]. This is a very good platform to exchange views between our societies. First of all I would like to say a few words about the methodology of these negotiations and the Polish presidency’s role. I will also try to summarise the arguments that were raised by the Member States during the initial exchange of views. Poland, together with the whole Trio adopted a common methodology how to progress on this subject. We decided that the right format to conduct this discussion in the Council is the General Affairs Council and that the General Affairs Council (GAC) should be supported by COREPER II and a special group, called “Friends of Presidency”. We also divided the tasks in time so that in Polish presidency, as the first one to tackle the subject, we were spending time in additional clarifications on the subject on the side of the Commission. We also had several orientation debates either on the level of GAC or COREPER II and we are going to prepare a progress report. In this progress report we will not decide on any of the subjects that are on the table because it would be premature. We would like only to show to our Danish friends what are by blocks of Member States. Then the Danish presidency – hopefully in June next year – will take the subject to the European Council and will try to achieve a compromise on the financial aspects which would pave the way to finalise the financial negotiations with the European Parliament and also to finalise the work on the legislative proposal. MFF is not only about money but also about discussing the instruments – the Cohesion policy, the external relations etc. and they need a legislative form, in order to act and the Parliament has even greater say on this after the Lisbon Treaty. A word on the context. This is the first MFF after the entry into force of the Treaty of Lisbon and it is now in the form of a regulation. Before the MFF was simply an interinstitutional agreement between the Commission, the Parliament and the Council. I am not going to comment on the debt crisis but, of course, because of the debt crisis MFF will be for sure a very significant political topic. EU budget is only 2.5% of the entire EU public spending but we know historically that this is a subject that concentrates a lot of attention. Then, of course, we have the discussion on the deeper integration of the eurozone and giving the institutions for this co-operation. We know that some Member States are pursuing an idea about a kind of “double-speed Europe” wit a set of greater integration of the euro zone. These discussions are already revealed their image because there are countries that pay more to the EU budget than they receive – those are the net payers – and this group is a bit more numerous than last time because of Italy and Finland who clearly joined this club. We have also re-activated the so called group “Friends of Cohesion” which numbers now 13 Member States. I did not put Poland in because during our semester we tried to be neutral. I also did not put in Denmark who will prepare the compromise next semester. With regard to the overall size the Commission proposed a budget of 1.05% of GNI in commitments and 1% in payments, some items being left outside the budget, like European Development Fund and some large-scale projects. It met some opposition by some Member States, saying that in time of difficulties the budget should grow no more than the inflation, taking 2013 as a starting point, and that the EU budget should reflect the consolidation efforts made at national level. Some Member States insist that the gross contributions to the EU budget should not increase. Whereas, of course, the “Friends of Cohesion” tend to send that EU needs the money to pursue not only its traditional policies, as they are endorsed in the Treaty of Lisbon, and objected that the Cohesion policy and other policies were not changed by the Treaty and they are still valid. These policies also underpin the internal market because you know that this market creates winners and losers and we need – I do not wish to say “re-distribution” – but we need policies to offer opportunities to the disadvantaged regions or individuals. Then, of course, the “Friends of Cohesion” insist that this budget is an investment budget – this spending is around 5% and all other items that we could classify as investments should not be reduced in time of crisis. What comes to the Cohesion policy? We have this debate if the Cohesion policy is effective and some say that it is not a coincidence that the southern Member States now undergo economic difficulties, simply because they were beneficiaries of the Cohesion policy for several decades and could not provide greater competitiveness for their economies. Many of the Commission ideas on how to make this policy more effective, are a reflection on this debate. The Commission proposed, for instance, greater macroeconomic conditionality and conditionality as such to add to this kind of criticism. Of course, we have discussion on the oversize. The Commission proposed a budget policy that is 5% lower than in the current Financial Framework, but this is because some of the regions that were below the 75% level are now graduated to better developed status or transition regions. Another issue that raises a lot of political attention is to lower the capping to 2.5% of GDP of the beneficiary Member States. It will affect of course, those Member States with lowest level of development also Poland, also Bulgaria, and this is the question: whether with this proposal we will arrive with good concentration of resources on the list. 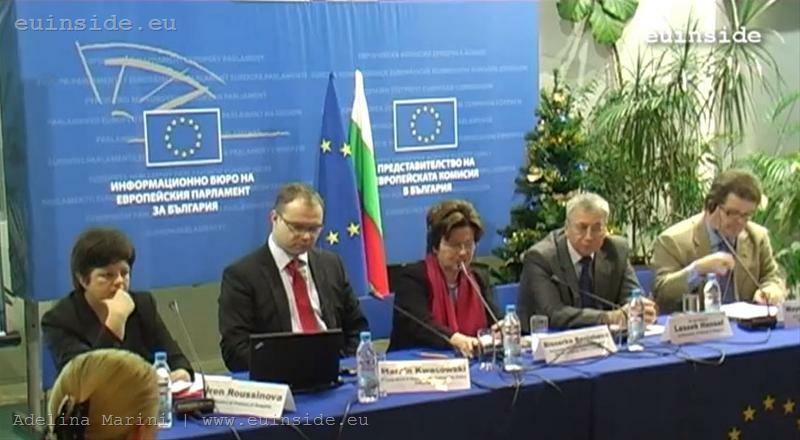 Others said that we have this conditionality issue, but it is restricted to the Cohesion Fund only and so the Commission proposed to enhance this macroeconomic conditionality to all the funds, who will be covered in the future by the Common Strategic Framework – that means also the Development and the Fisheries. There is the question about the proportionality of this measure because for countries like Poland or Bulgaria these amounts of money amount to several percentage points of GDP, while for other countries, like France, for instance, the funds in question are 0.1% of GDP and so will not be “bitten” by the measure with same severity. We have a large discussion about the creation of transition regions with prosperity between 75 and 90% of EU average. Some Member States say that this is against the principle of concentration of resources and others say that with the resources we will have in the future this is not the wisest decision and that the simple phasing-out solutions will be more suitable. The Commission argues that with this solution we will ensure equal treatment to the regions. The Commission thinks that there should be more balance between the allocations of money between EU-15 and EU-12. The Commission further says that the balance 57 to EU12 and 43 to EU15 is more politically sustainable. Of course, we will have discussions on the new system for monitoring and evaluation and another topic is the link of Cohesion policy with the Connecting Europe facility – the newly created sectoral fund. A lot of attention raises the proposal to get about 10 billion of funds from Cohesion policy to the T-Ten projects. The Member States that are most concerned by this are not so eager to have this measure, whereas the Commission says that it is needed because there are not enough incentives for railway projects or water projects while with this open competition incentives will be created for the Member States to concentrate on such projects that presently are in many aspects omitted. For the Common Agricultural Policy (CAP), as usual, there is the issue of the overall budget. The Commission proposes to stabilise the budget to the 2013 levels in nominal terms but to place agricultural spending in other headings, such as research or to create a reserve outside the budget. The other topic that will be discussed for sure will be the convergence of the direct payments. The Commission proposed to have a kind of political, mechanical way to solve these problems, so that the Member States that are below the 90% of the EU average should cover up to 1/3 of the difference within next financial framework. The Member States concerned, are of course not happy with the solution and they say that the EU money in this policy should be redistributed according to the objectives of the policy. They insist that the costs for the farmers are more or less the same all over Europe when it comes to inputs or some investments. Then we have the issue of the re-distribution of the rural development funds because in this case the Commission is willing to re-distribute the money more according to criteria linked to the policy objectives. The next vital issue is the “greening” of the direct payments. The Commission would like to give more legitimacy to this policy, by enhancing the conditionality linked to the protection of the environment. Another issue is the capping per farm, which is limiting the outlays to the biggest farms. As we see it is not so severe as the Commission allows to deduct from workforce in this farms. What comes to the revenue side - it is also an area where the Commission would like to have the biggest changes. Some Member States prefer the status quo because the EU is financed like the UN - based on direct contributions from the Member States. The Commission proposes new set of own resources based on taxes and says that it is needed to give the EU more autonomy. The Commission also proposed to end the British rebate and the current correction mechanism for Germany and Netherlands, Sweden and Austria and to have a simple system of lump sums. Of course, there is the issue of the financial transactions tax (FTT) but this is a secondary discussion to the primary discussion about the own resources. 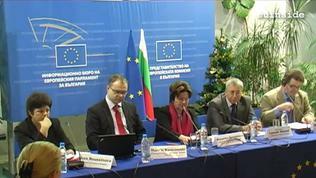 We had an initial debate in ECOFIN on the 8 November and we saw that the Member States are much divided on this topic. Germany and France are pushing for this because they feel that this could be an important tool to prevent future financial crises and it hinders high-frequency trading. Other Member States, that are financial centres, are quite concerned and doubt the efficiency of this solution claiming that the transactions will re-allocate outside of the EU. In every debate about budget it is important how we conduct it – whether we should have top downs – first to agree on the overall size and then to discuss on policies – or should we have bottom-ups – first do the discussion about the policies and then to arrive at the final figure. As Ms Ambassador said already, we have unanimous support for seven-year length and an overlap with Europe 2020 and we have also quite a broad support for the proposed overall structure with many Member States being in favour of having a heading for the Cohesion Policy instead of a sub-ceiling. Then, there is the discussion on the so called “out of the debate” items. As I said, the Member States want to have more if not all of these items in the budget. If I have to conclude what we did in our semester, the majority of the Member States or believe that the Commission proposal is a good starting point for discussion. Some of them prefer to have rather a top-down discussion but I have to observe that they are very willing and very participating in the Commission’s proposal on the bottom-up approach. I would say that the majority of the Member States also agree with the political concepts of the Commission, so that when it comes to the Cohesion policy or CAP. But the outside of it, the devil lies in the details and I think that the next presidency will come up with a solution that will be acceptable for most of the Member States. Thank you very much.